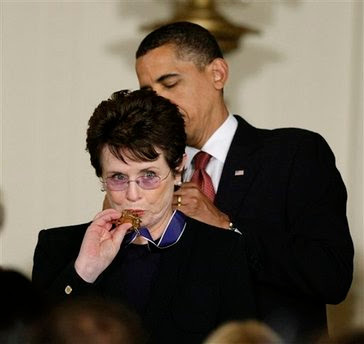 President Barack Obama has awarded the Presidential Medal of Freedom, the nation's highest civilian honor, to 16 people who have made a difference in the nation and the world. "They remind us that we each have it within our power to fulfill dreams, to advance the dreams of others, and to remake the world for our children," Mr. President said. 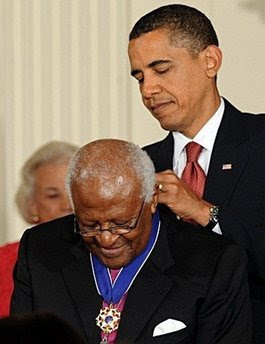 Retired Anglican Archbishop Desmond Tutu of South Africa, well known champion of human rights, world renowned physicist and author Stephen Hawking and Mary Robinson, Ireland's first female President and a former U.N. high commissioner for human rights were also honoured. 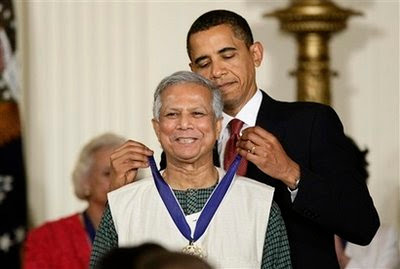 Among the four foreign winners was Bangladesh's Muhammed Yunus, the 2006 Nobel Peace Prize recipient, who pioneered a way to lift people out of poverty through a community banking programme that gives small loans to entrepreneurs with no collateral. 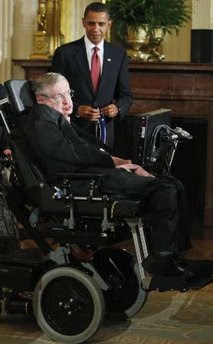 The list of recipients includes activists, scientists, actors, humanitarians and athletes. 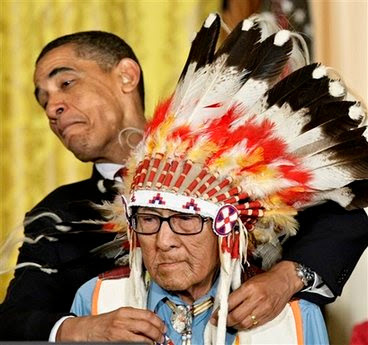 They are all agents of change, Obama said at a White House ceremony on Wednesday. 2. 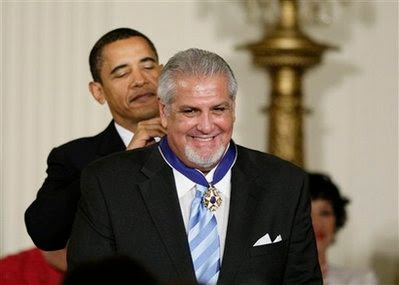 Pedro José Greer, Jr. 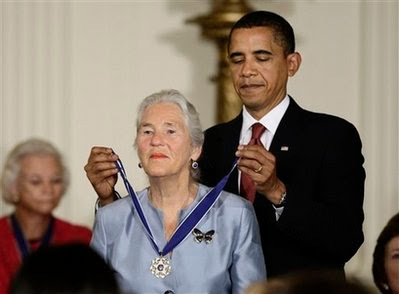 The Medal of Freedom is awarded every year to individuals that are decided to have made a contribution to the security or national interestes of the United States, whether in peace, cultural or other public or private matters. These awarders are 'agents of change' said the White House as they achieved accomplishments in sports, science, and medicine, among others. "These outstanding men and women represent an incredible diversity of backgrounds," President Obama said in a statement, while calling their accomplishments "tremendous." "[Y]et they share one overarching trait: each has been an agent of change. Each saw an imperfect world and set about improving it, often overcoming great obstacles along the way," he added. "Their relentless devotion to breaking down barriers and lifting up their fellow citizens sets a standard to which we all should strive. 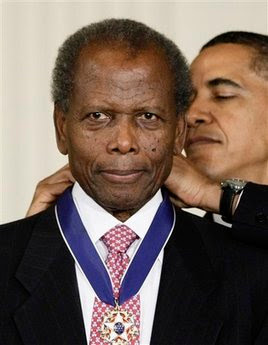 It is my great honor to award them the Medal of Freedom."